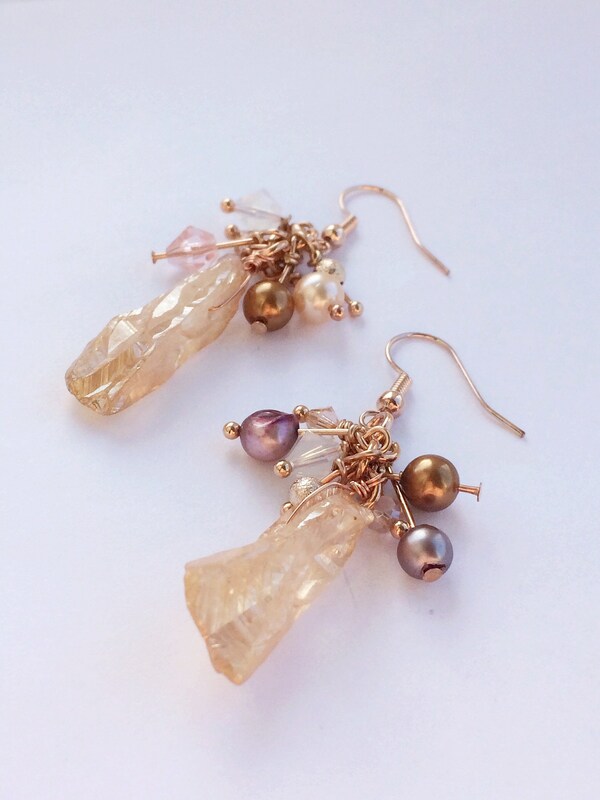 A very unusual and one-of-a-kind pair of elegant earrings. 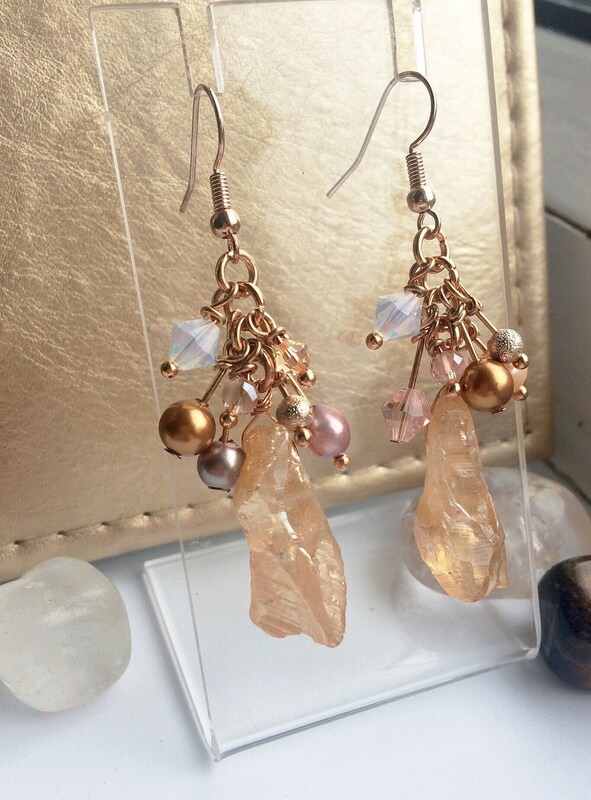 They feature a peach coloured raw cut druzy agate shard (approx. 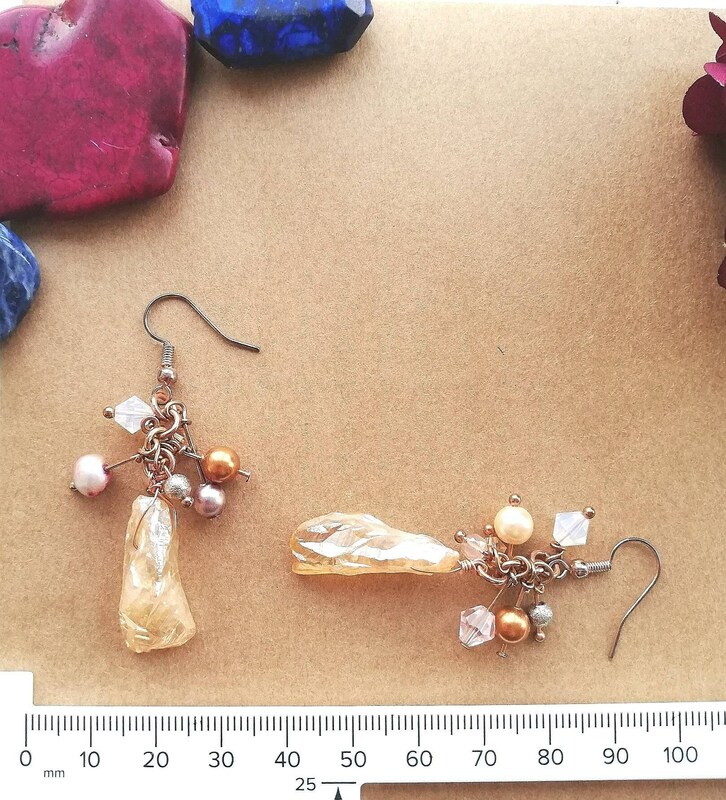 2.5x1cm). 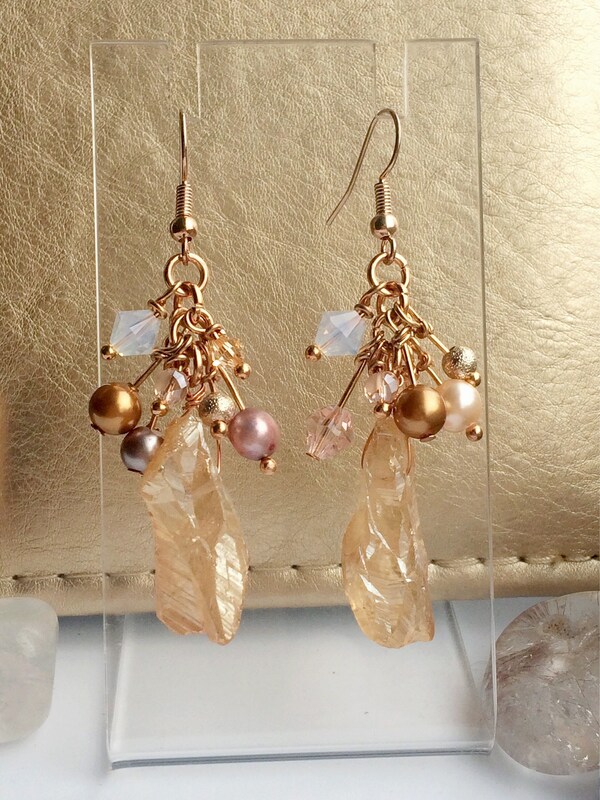 This has an amazing lustre and light sparkles wonderfully on its many surfaces. 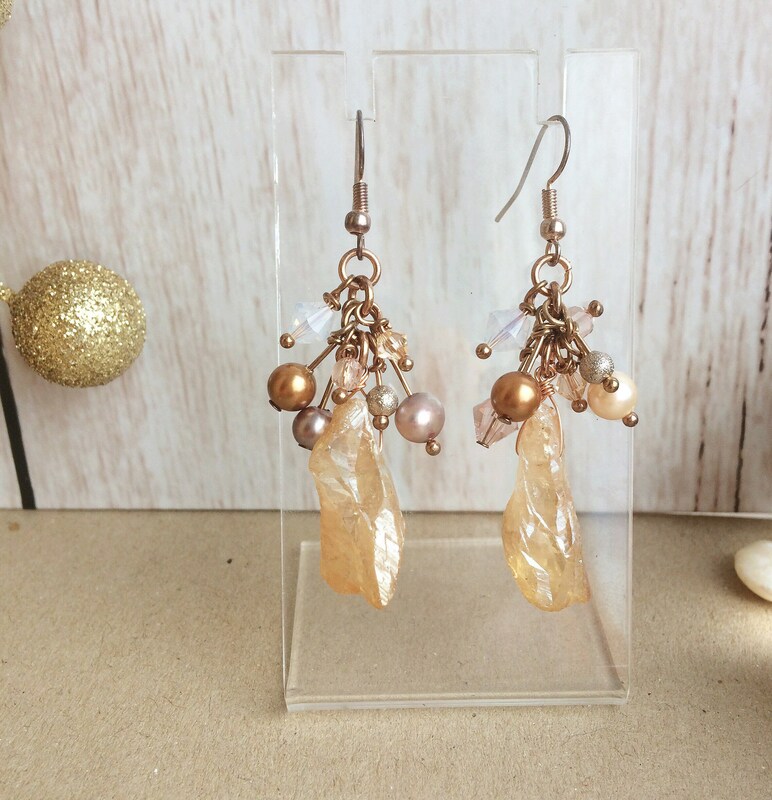 This is complimented by a carefully selected range of complimentary beads, pearls and crystals strung on rose gold coloured wire. Some of the beads can move freely down the length of the wire, creating a bit of extra movement and interest. 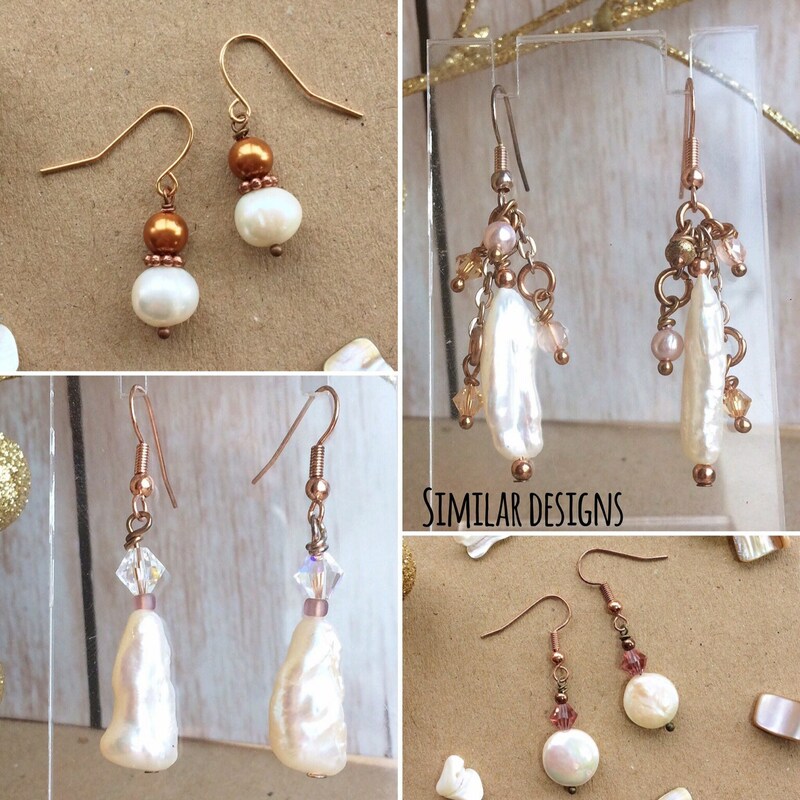 The cluster beads include Swarovski crystals in cream, light pink and peach, gold pearls, frosted pink pearls, Czech pressed glass beads and brushed metal beads. I especially selected a variety of surface finishes, from crystal, brushed metal, matte and metallic to be visually beautiful and pleasing to the eye. 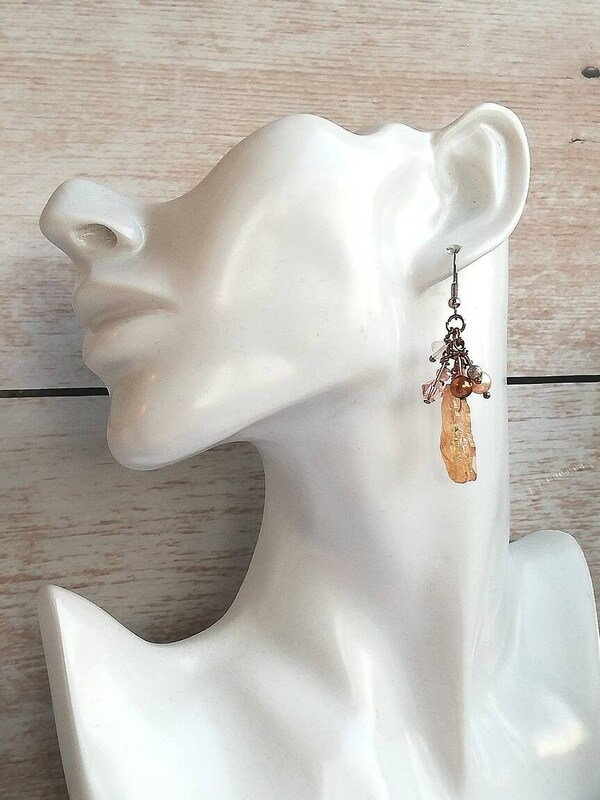 The total drop length of the earrings is 4cm and they do vary in composition and the size of the two druzy shards does differ slightly due to their organic nature. 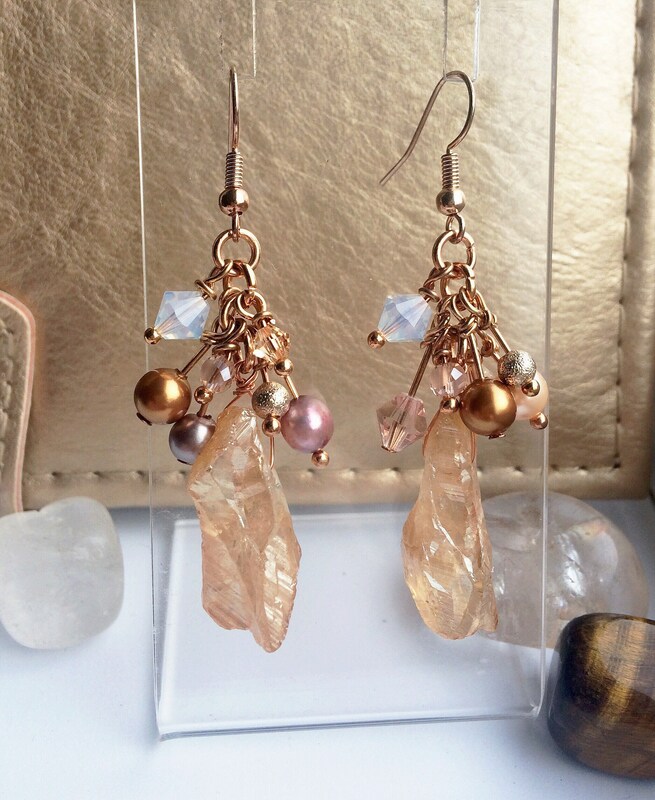 I'm in love with this romantic rose gold colour scheme and have designed lots of pieces in the upcoming spring/summer wedding range in this style. 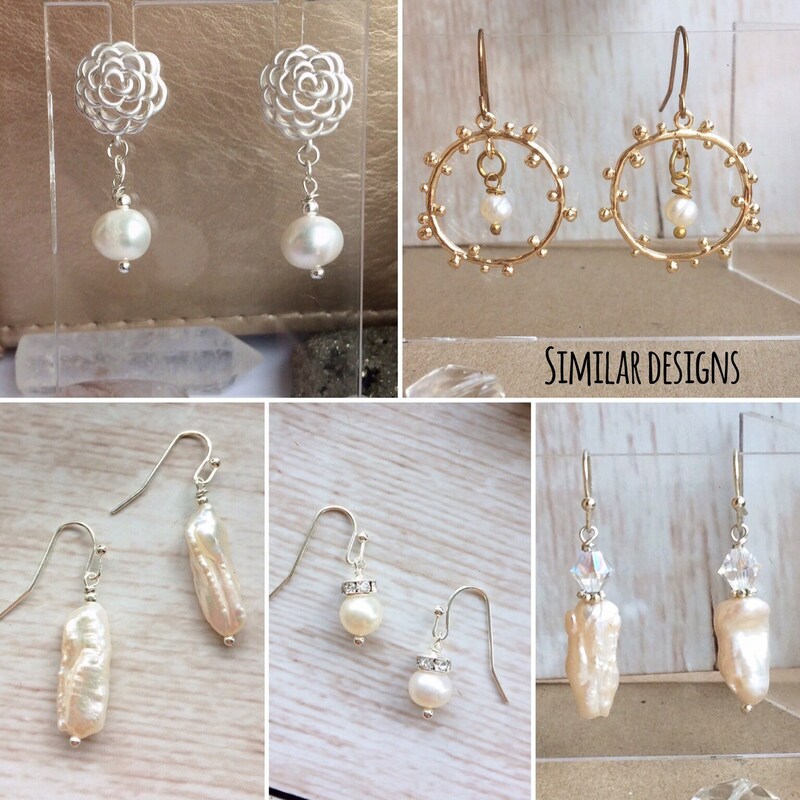 I am able to make accompanying pieces for the bride or bridesmaids so please get in touch if this is something you are interested in. I also just finished a bespoke wedding commission so if you have a colour palate or design in mind and want to commission something unique for you, this is something I would love to do!